If you have been anywhere near a television or radio this week it can hardly have escaped your attention that Russell Brand has a new book out. In place of the politicians, CEOs and commentators who are usually grilled in the studios of ‘Newsnight’ and the ‘Today’ programme, the stand-up comedian and actor has been quizzed about his plans for a global revolution based on spiritual enlightenment and radical economic restructuring. In roughly equal measure, Brand’s foray into politics has been dismissed as ‘pseudo-revolutionary blather’ and praised for engaging his mostly young and presumed apathetic fans. In the United States another British comedian, satirist John Oliver, has been inundating print and broadcast media. He was recently featured on the front page of Rolling Stone magazine and his HBO show ‘Last Week Tonight’ continues to grow in popularity. The show, which is comprised mainly of comedy monologues on topical issues, has, in recent weeks, dealt with topics such as Special Immigrant Visas for translators, gay rights in Uganda, the US embargo against Cuba, and Argentinian debt restructuring. A number of surveys have pointed to the influence of this kind of satirical show; the Pew Research Centre found that during the 2000 US presidential campaign 21% of 18-29 year-olds cited comedy shows as a primary source of information about the election. A poll by the same organisation in 2007, placed Jon Stewart, host of Comedy Central’s ‘The Daily Show’, fourth in a list of most trusted people in the media. Ridanpää’s review suggests that the subfield of popular geopolitics is taking the lead in geography’s engagement with humour. Popular geopolitics, according to Dittmer (2010), ‘refers to the everyday geopolitical discourse that citizens are immersed in every day’ (p. 14). These ‘everyday discourses’ are important as ‘the general manners of perceiving political issues and their spatial nature are learned and assimilated through popular culture’ (Ridanpää, 2014, p. 702). A skilled and witty satirist, then, such as John Oliver, adept at synthesising and caricaturing complex political and geopolitical issues, arguably holds a highly influential position in shaping the crucial ‘everyday geopolitical discourse’ that scholars of popular geopolitics are interested in. Drawing on studies from geography education literature (Alderman and Popke, 2002; Hammett and Mather, 2011), Ridanpää argues that ‘by processing harsh social reality through laughter… the legitimacy of established ways of seeing the world can be questioned… [S]atire… can be used to raise consciousness about global forms of social inequality, politics of difference, and otherness.’ (p. 706) While the prospect of a Russell Brand headed global revolution hardly appears imminent, perhaps his phrase ‘The revolution cannot be boring’ will prove prophetic. 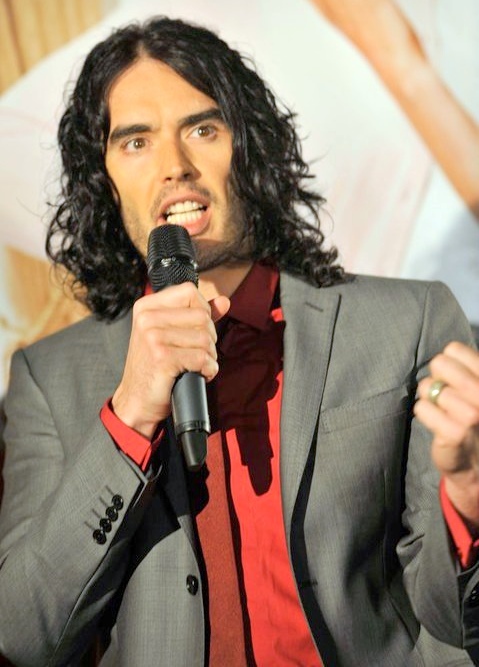 ‘Russell Brand’s Revolution: panel verdict‘, The Guardian, 23 October 2014. Jason Dittmer, 2010, Popular culture, geopolitics, & identity. 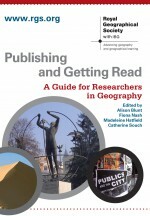 Lanham: Rowman & Littlefield Publishers, Inc.
Alderman, D. and Popke, E. J., 2002, Humor and film in the geography classroom: learning from Michael Moore’s TV Nation, Journal of Geography 101 228–239. Hammett, D. and Mather, C., 2011, Beyond decoding: political cartoons in the classroom, Journal of Geography in Higher Education 35 103–119. This entry was posted in Geography Compass and tagged comedy, critical geopolitics, geographies of humor, humor, humour, John Oliver, popular culture, popular geopolitics, revolution, Russell Brand, satire on November 3, 2014 by Ashley Crowson.